Not only does time fly when people have fun, but when time flies by on a countdown clock, they may have more patience, according to researchers. In a series of experiments, the speed of a countdown clock affected the patience and decision-making of video game players, both during and after the game, according to David Reitter, associate professor of information sciences and technology, Penn State. He added that participants displayed more patience when the clock quickly counted down the time remaining, compared to when the clock slowly ticked off the countdown. "What we're interested in is finding out how people make decisions about time—we're interested in when to act, as opposed to how to act—and we're also interested in how people experience time," said Reitter, who is also co-director of the Applied Cognitive Science Lab. "In this study we also wondered 'What can we do about impatience? Are there tricks we can use to make other people more patient that would be advantageous to them and to us?'" The researchers used three different clocks to signal the time remaining in the game—a slow, five-count clock, a medium-speed 10-count clock and a fast 15-count clock. They found that the players who were exposed to the quick countdown were also more likely to make more deliberate, wiser choices even after the game. "What we found was really quite astonishing in that we could influence people's patience not just during the countdown, but we could also influence people's patience for what came after," said Reitter, who worked with Moojan Ghafurian, a former doctoral student at Penn State and, currently, a postdoctoral fellow in computer science at the University of Waterloo. A faster countdown with more numbers may make it seem like time is passing faster, which reduces impatience and encourage more deliberate decision-making, according to the researchers. "Countdowns create a different sense of the time that has passed," Dr. Reitter said. "And a faster countdown creates a sense of a shorter time having passed during the wait, so it alters your sense of time a little bit." Participants also perceived that delays with the quicker clock speed both went by faster—even though all the delays were 15 seconds long—and made the game more enjoyable to play. "So, I guess you could say that time actually does fly when you're having fun," said Reitter. Ghafurian added that the findings point toward ways people can modify their sense of time to promote well-being. "What's novel is that we found a very simple approach to trick our internal clock," Ghafurian said. "And that can help with decision-making and happiness." These findings could apply to designing traffic and pedestrian crossing signals, as well as other devices, where impatience may affect safety. Interface designers may be able to use this information to develop software tools that are more user-friendly. For example, as Ghafurian pointed out, users may be more patient during software installations if developers use a faster countdown clock. "You want to make tools that help people be more productive and make better decisions," said Reitter. "And this is really what the bigger question is about here: you're not just managing a person's emotions towards the device, you're actually getting them to make better decisions." In the first experiment, which was designed to test whether there was an impatience bias outside of the subject's willingness to take on risk, the researchers recruited 123 people to play a video game. In the second experiment, which was designed to investigate whether impatience induced by delays alters decision-making, the researchers recruited 701 subjects to play the game and they recruited 304 participants for the third experiment that tested whether altered time perception influenced patience or impatience. The participants were recruited through Amazon Mechanical Turk. Subjects for all three experiments played a Cookie Monster video game. The object of the game was to catch the Cookie Monster before he stole cookies. The character would attempt to steal the cookies at random times throughout the game, which means the player had to patiently wait during the session to time the Cookie Monster's attempted theft. In the future, researchers may explore how people value time and how they perceive the way others value time. 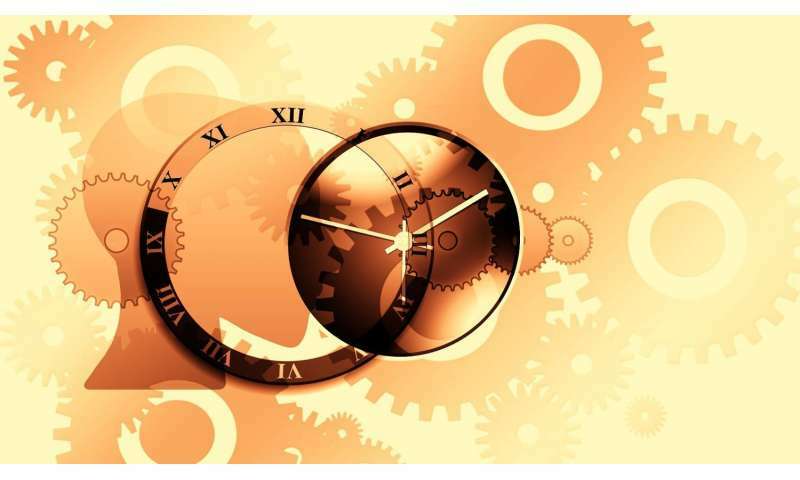 The study was published in a current issue of the journal Time & Time Perception.